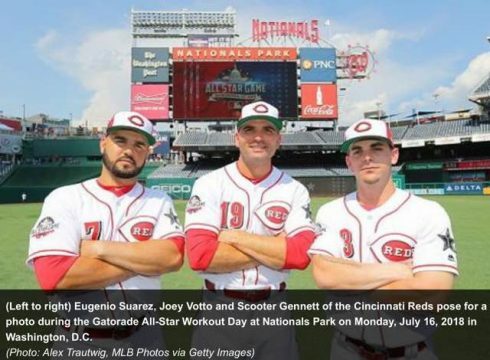 Usually I don’t spend (waste) too much time watching baseball until September, unless the Cincinnati Reds are having a winning season (I’m a fan of the Cleveland Indians too). But this year I’ve enjoyed watching a lot more Reds baseball even though they are in last place in their division. Perhaps I’m tired of the political news or am not into binge watching Netflix like Brenda … or maybe it is just that I’m enjoying watching sports on the big screen on the updated home theater? Anyway, it was a great All Star game this evening and Fox did a great job with the pre-game and mics on players during the the game. 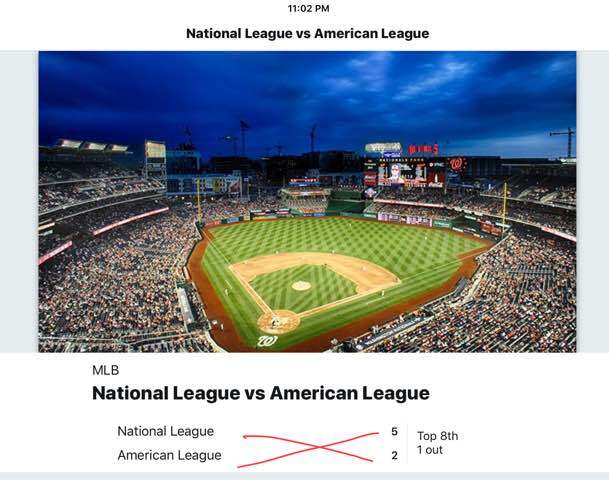 Home runs galore as both National League and American League were able to slug dingers over the wall at Nationals Park in Washington DC (5 for AL and 5 for NL = 10 HRs!). The final score ended with the AL’s 8 to the NL’s 6 in an extra inning. It looked as if they all had fun. My pet peeve was to see Twitter’s scoreboard wrong the whole game … even though I sent a few tweets to their support. Oh well, its a game.